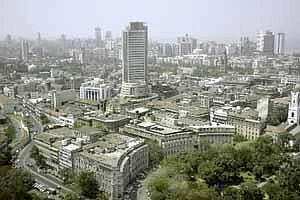 Mumbai: The week has commenced with a bang on hopes of recovery in the United States as the holiday season kick-started with record sales, at $52.4 billion, reports MarketWatch. Also in Europe there were expectations that leaders would be able to curb the debt crisis with a deeper fiscal integration plan in place. The Dow Jones Industrial Average gained 2.6%, the S&P 500 Index snapped seven days of losing streak and rallied 2.9% and the Nasdaq Composite Index climbed 3.5%. Asian markets extended the gains fuelled by Europe with shares of exporters boosted by US retail sales data, reports MarketWatch. Japan’s Nikkei Stock Average 0.9%, China’s Shanghai Composite was up 0.4% and the Hong Kong’s Hang Seng Index added 0.4% at the time of writing. Mahindra 2 Wheelers, the arm of Mahindra & Mahindra is mulling on raising around ₹ 200 crore from the private equity advisers by divesting a minority stake. Although the parent company, Mahindra & Mahindra, has sufficient cash, they are looking at external funding to help the two wheeler business perform better. Lenders to Air India have approved the financial restructuring worth $3.5 billion for the cash strapped airline reports the Wall Street Journal. The troubled airline may be able to convert some loans into equity, restructure some at a lower interest rate and increase the period of repayment. Last week, the Reserve Bank of India had given an approval for extending the tenure of the loans for the debt ridden airline by five years. There might be more money left in the wallets of consumers as the state run oil marketing companies are expected to cut petrol prices by one rupee per litre or 1.5% reports Reuters. Last month the OMCs cut petrol prices by almost 3.2%. The declining Singapore spot gasoline prices have actually reduced the impact of a depreciating rupee. The Singapore Gasoline price has averaged $108.96 per barrel compared to $114.13 per barrel in the previous fortnight. Reliance Industries may be in focus too after the company said that it has started the arbitration proceedings against the government to recover the costs for the gas produced from the KG-D6 block. The company has lost more than 25% of its market value after being hit by falling gas output. RIL is looking at recovering full costs under the production sharing contract with the government. The Sahara group of companies can take a breather after the Supreme Court has given them more time to refund the investors’ money reports Business Standard. The Securities Appellate Tribunal (SAT) has directed that two of its companies can refund the amount of ₹ 17,400 crore by January 8. The judges have asked the two companies -- Sahara India Real Estate Corporation and Sahara Housing Investment Corporation to file a detailed affidavit on how it will protect the interest of the investors. Lastly, the world’ cheapest tablet Akash which is expected to cost $35 is on its way to become a money spinner for students, reports Economic Times. Datawind, the maker of the software has announced a contest for students for installing their best applications in the commercial version of the tablet.